Good enough? Judging the quality of your own work. 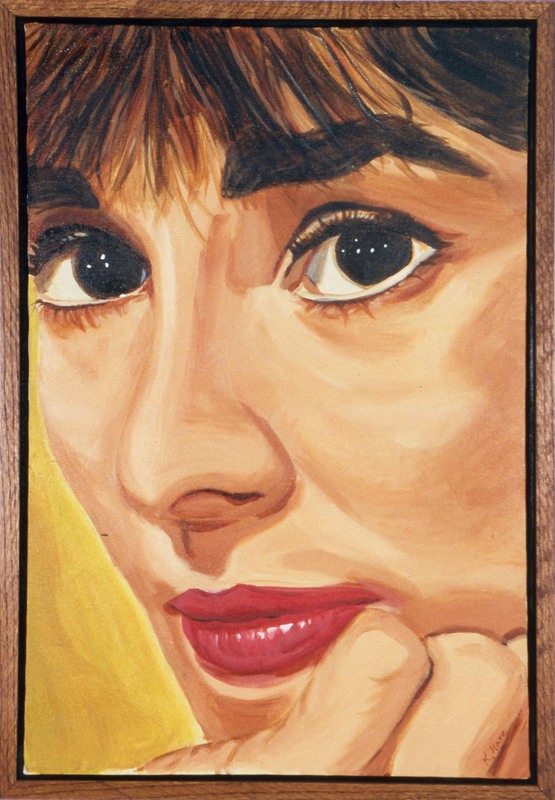 Years ago, I sat in my painting class, laboring away to create a hyper-realistic painting of my idol, Audrey Hepburn. I struggled greatly in the beginning, trying to get the proportions correct with my sepia outlines so it wouldn’t look like a caricature or a hastily painted mural in some tacky restaurant. I built the painting up little by little, adding shadows, then pigments, then highlights. After a great amount of time and struggle, I stood back and looked at it and pronounced it completed. That’s when my painting teacher, Felix Ampah, walked by. “Hmm…” he started, looking at my work and then at my photo I’d been referencing, “looks like there’s a lot more information in here”—he pointed to her cheek—”and here”—he swept his hand along the virtual Audrey’s lip and chin. “Much more to do!”, he concluded, my own Mr. Miyagi sending me back to work. Feeling defeated, I examined the photo and my painting. Sure enough, there was more “information” there—subtle changes in the shadows and highlights within the areas he pointed out. I worked the rest of the class and the next filling in “the information” that had escaped my eye on the first round. And when the painting was really completed, I felt it was my best work yet. The lesson I learned from this experience I carry with me today: when I think I’ve completed a design, it’s best to put it away for a bit, then come back to it with a critical eye. Sometimes it’s me that does the critique, and sometimes I send it to my design colleagues for feedback. More often than not, there’s something small that can be added or edited to improve the quality of my design. The little adjustments make a big difference in the quality of the concept, and ultimately in my clients’ satisfaction. This entry was posted on Wednesday, May 12th, 2010 at 7:23 am and is filed under Design Tricks and Tips, Uncategorized. You can follow any responses to this entry through the RSS 2.0 feed. You can leave a response, or trackback from your own site.